After an exciting pirate adventure, you may be hungry. 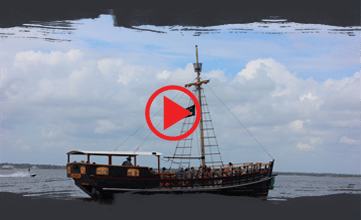 Well you are in luck, landlubbers! Ocean City, NJ restaurants offer diversity for a wide range of palates. From family cuisine and seafood, to specialty cafes and pubs, you can get your belly filled within a stone’s throw from Jersey Shore. The majority of the restaurants in Ocean City, New Jersey are family-owned businesses, so great hospitality is on your side. Visit the Ocean City Restaurant Association (OCRA) websitefor breakfast, brunch, lunch, dinner, pizza, ice cream or anything your heart desires. Yum! 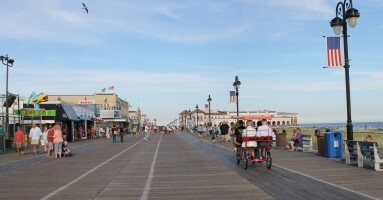 Don’t miss the chance to go shopping while on vacation in Ocean City, New Jersey. Our regionally famous New Jersey Shores Boardwalk is the place to go for all of those neat souvenirs, designer apparel, kids’ stuff, bathing suits and much more. 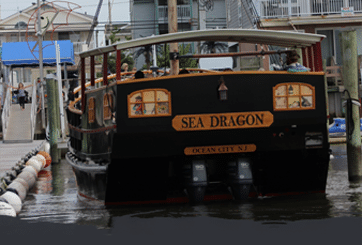 Once you go shopping in Ocean City, NJ, you will see why even the locals enjoy the best stores, bargain shops, andboutiques in this tourism community.Go Shopping in Ocean City, New Jersey!